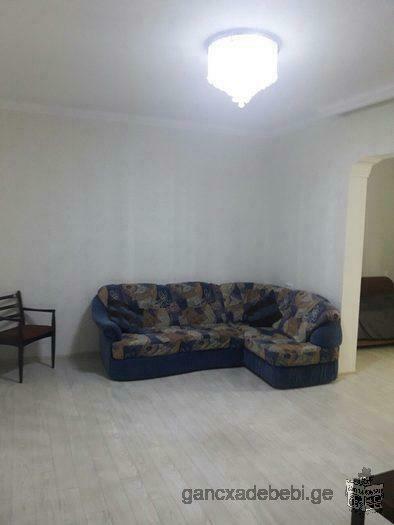 Flat for rent in Varketili. Adress is: Varketili, The second row of the fourth micros; Second building, second floor, apartment 3. 5 minutes is needed for walk from Metro; Flat is new renovated (euro repair) and is provided by Garage, balcony, central heating. New furniture and packed, unused and unopened technique. The kitchen is released in Pantry, so the dining room is separate. Flat is for Daily rent for foreigners for Georgians es well. . Price is 80 GEL per day.